British studio lighting retailer CotswoldPhoto has announced the release of the Hobo Merlin 1000 - the most powerful unit in their Merlin studio flash series - available from £319.99. The Merlin 600 is also back in stock, having been sold out. Gloucestershire-based studio equipment supplier CotswoldPhoto has announced the release of the Hobo Merlin 1000 – the most powerful unit in their Merlin studio flash range. The 600Ws Merlin is also available again, having previously been sold out. Budget studio strobes usually compromise on component quality and key performance factors like consistent colour temperature throughout the power range. 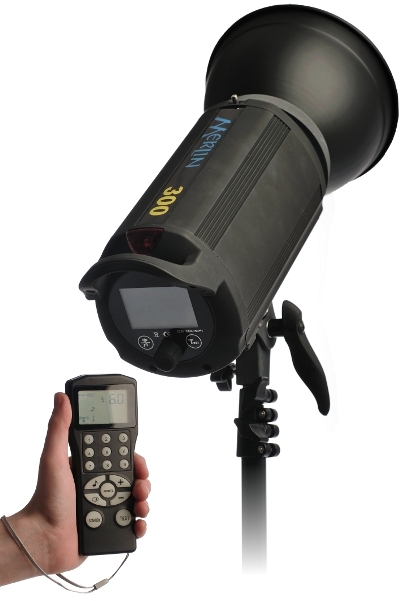 The Merlin has microprocessor control, high quality flash tubes and capacitors, to bring professional features and performance to affordable strobes. The Hobo Merlin series is available exclusively from CotswoldPhoto, a UK-based seller who ships to the European Union.